Dr. Jonathan D. Sher was raised in Albuquerque, New Mexico and graduated from Manzano High School in 1982. He attended the University of Texas-Arlington from 1982-1985 where he majored in Chemistry. In 1985 he was admitted to University of Houston-College of Optometry and graduated from the University of Houston with a Bachelor of Science in 1986. Dr. Sher received his Doctor of Optometry from the Universtiy of Houston in 1989. From 1989-1992 Dr. Sher worked at Cornea Assoicates of Texas in Dallas, Texas. 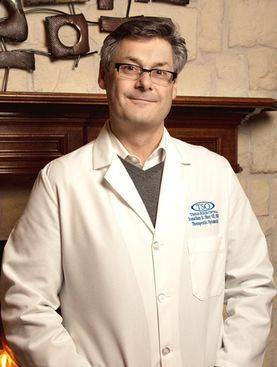 He entered private practice in 1992 and joined with Dr. Webb at TSO in 1999. Dr. Sher purchased Dr. Webb's practice in December of 2004. Dr. Sher is a member of the Texas Optometric Association, the American Optometric Association, the Dallas County Optometric Association, and is a Fellow of the American Academy of Optometry. Dr. Sher enjoys skiing, swimming, playing piano, and competitive shooting. 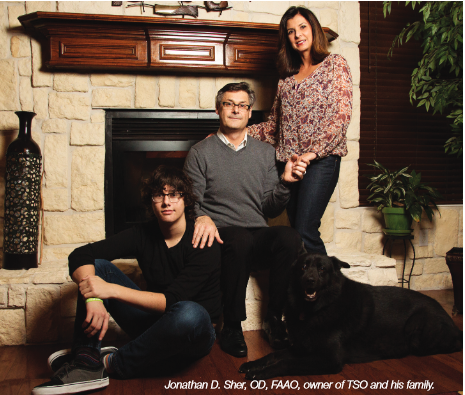 Dr. Sher, his wife Cynthia, and their son Benjamin live in Plano, Texas.